Dubai is no stranger to supercars. In fact, it’s not a rare occurance to see a pair of Ferraris parked out front of one of the city’s 5-star hotels, or to catch a glimpse of a Lamborghini cruising around JBR of an evening. But anyone who knows a thing or two about these marvels of modern engineering will tell you that the Bugatti Chiron is the cream of the supercar crop. Synonymous with Dubai, last year the team from popular UK TV show Top Gear came to town and pushed one to its limits at various locations around the emirate in an impressive video. The sleek, state-of-the-art vehicle can hit a top speed of over 370 km/h and has a price tag to match – a cool Dhs10.75 million. Ouch. 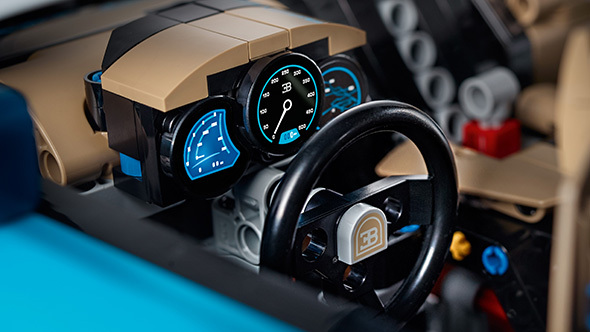 Of course, us mere mortals will likely never get the chance to sit inside a Bugatti Chiron, which is why we’re pleased to report that our favourite toy company has brought our dream of owning one a little closer to reality – at least in minituraised form. That’s right, Danish brick builders Lego have released a scale model of the highly coveted supercar for fans to build and display as they please. The 1/8 scale set features a whopping 3,599 pieces and falls under the company’s Technic brand aimed at young adults and regular adults who are young at heart. Looks pretty spot on, if you ask us. 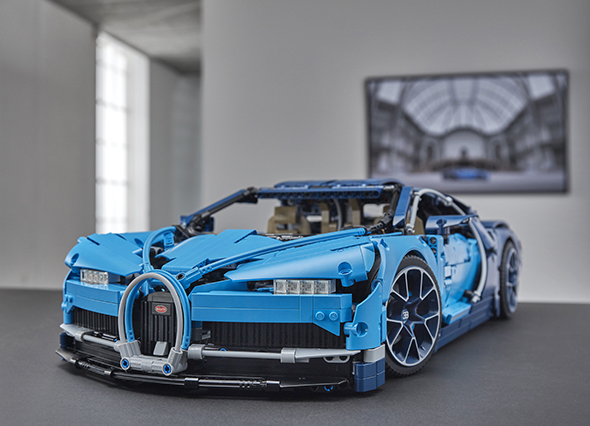 The Lego model boasts the same aerodynamic bodywork as the original Chiron complete with an active rear wing (which you can manually switch using a Lego-built key) and the iconic blue paint job that the car is known for. And while it certainly looks the business, under the hood is where the fun really shifts into high gear. The set has you recrating a tiny version of the car’s powerful W16 engine (which allows it to reach those impressive top speeds), moving V8 pistons and all. There’s also a working 8-speed gearbox, Bugatti-branded steering wheel and lots of other neat additions that supercar fans will no doubt relish. The finished model is over half a metre long so you’ll want to have adequate space free to display it, and be sure you put aside plenty of time to put together those thousands of pieces. Lego retails the set in the UAE at Dhs2,856 which is certainly not within impulse buy territory. 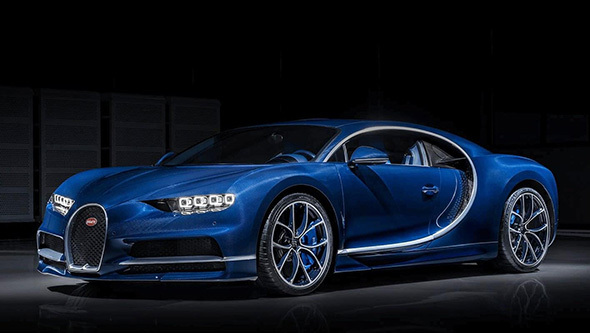 But considering the cost of a full-size Bugatti Chiron, and the fact that this model comes with a lot of parts and some of the same functioning features, it’s a relative steal for anyone who’s ever dreamt of getting their hands on some version of the once unobtainable supercar. The LEGO Technic Bugatti Chiron is available for Dhs2,856 in all LEGO Certified Stores in Dubai which are located in The Dubai Mall, Mall of the Emirates, Mirdif City Centre and Dubai Marina Mall.